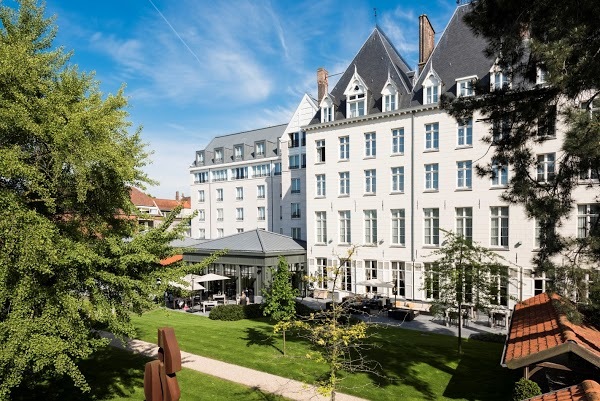 This 5 star superior hotel is located in a unique 15th-century former ducal residence in Bruges and only 300 yards from the Markt. Hotel Dukes' Palace Brugge includes a spa and rooms with classically elegant décor and luxurious 5-star facilities. The rooms in the main part of the castle include high ceilings and original features. All of the rooms at Hotel Dukes' Palace Brugge have air conditioning, a minibar, work desk and a spacious marble bathroom. During the summer guests can enjoy a high tea out on the terrace overlooking the extensive garden. Bar Dukes serves coffee or cocktails in a casual setting with comfortable armchairs. Restaurant Dukes offers refined Belgian cuisine which showcases seasonal ingredients. The spa features a steam bath, sauna and a gym. Guests can enjoy a range of relaxing massages. The UNESCO World Heritage-listed Beguinage is a 10-minute walk from the hotel. Hotel Dukes' Palace Brugge is 700 yards from the Groeninge Museum. The hotel benefits from a secured underground parking garage. Historic Centre of Brugge is a great choice for travellers interested in beer, ambience and atmosphere.